Better Living: Slimmin’ Down and Jumpin’ Out! We’re excited to share some great stories that come courtesy of our Better Living initiative and the team members who set out to achieve a personal goal and made it happen! Justin Callahan, Property Manager at Bradford Pointe Apartments shared his amazing success story with us. 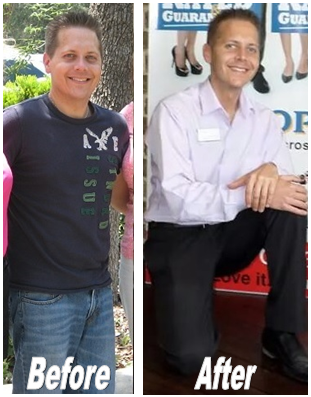 With a determination to succeed, Justin set his mind towards a weight loss goal of 40 pounds, and with the commitment firmly planted in his heart he was able to make it happen! As with most goals worth doing, it was no easy task. Justin cut out fast foods, fried foods, chocolate, and carbs from his diet and replaced them with salads, fruits, veggies, and grilled chicken. He topped off his new and improved diet with a healthy dose of exercise! With two mile runs multiple times a week Justin saw the pounds fall off over time. He can now say that he was able to shoot for and achieve an amazing goal for himself! We’re proud of you Justin! Michaela Shultz, Assistant Property Manager at Cypress Pointe, was able to knock out one of her bucket list items with coworker Maried Aleman, Assistant Property Manager at Waterford at Mandarin. 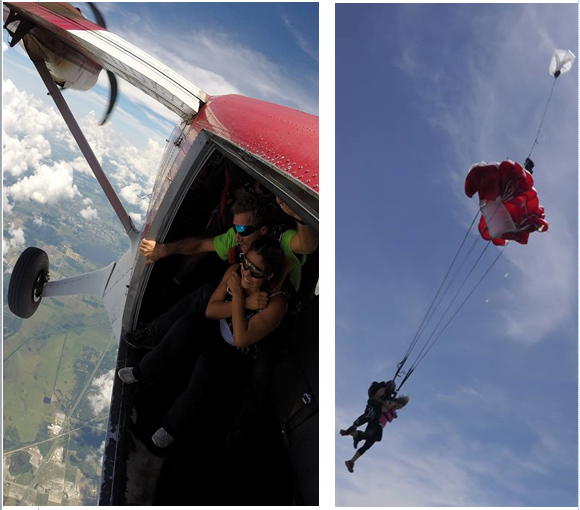 She faced her fears of planes in a huge way: by jumping out of one at 14,000 feet in the air in Lake Wales, Florida! After a scary 13,000 foot free fall and 1,000 feet of admiring an amazing view, Michaela is still brave enough to look forward to making it all happen again! Way to overcome those fears Michaela!